Traditional Easter Bread, Paska, displayed with exquisite Ukrainian Easter eggs. Paska is Ukrainian Easter bread, beautifully decorated. It is part of the traditional Easter Basket of food consumed on Easter morning to break the fast of Lent. According the website Ukrainian People it is traditional that the baker keeps his thoughts pure during its preparation. In fact, the entire household should maintain quiet so that the bread will bake properly. Not even friends or neighbors should enter the home during baking, so not to disturb the process! Traditional Easter Bread of Ukraine is Paska which is part of the Easter Basket presented on Easter Sunday. In Ukraine bread is the symbol of life. The website Ukrainian Recipes gives insights into the importance of bread and paska in Ukrainian culture. Since ancient times it was highly honored. Ukrainians call the bread “saint/holy”, “gift from above”, “father”, “breadwinner”, and “head.” In Ukraine none important event happens without bread….Bread always was and continues to be the symbol of peace and friendship between people. It is also the symbol of holiness, forgiveness, and imperishable memory. Paska, Ukrainian Easter Bread is a part of the Easter Basket of food traditionally blessed and consumed on Easter Sunday. A tradition in Ukraine at Easter is Paska, a bread included in the Easter Basket for Easter Sunday. The intricate decoration on paska represents welcoming imagery of springtime. Some Ukrainian traditions insist upon three loaves: one to honor nature, another to honor the dead and a third to honor those on earth. The dough is often marked with a four-sided cross design. A wide assortment of Paska, Ukrainian Easter Bread, baked by Four Corners Cafe & Catering, Fairfield, North Dakota. Paska. 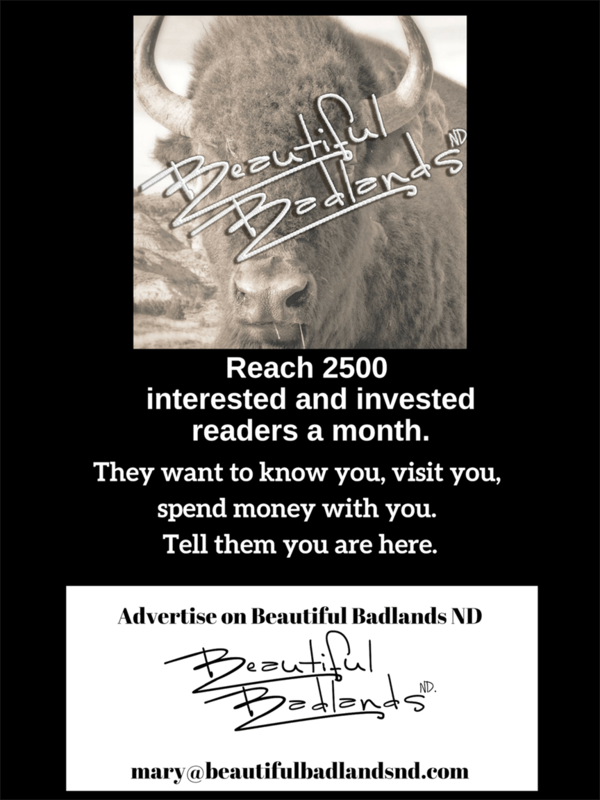 You’ll Find It In The Beautiful Badlands! The badlands and grasslands of western North Dakota were pioneered by many European ethnic groups, Ukrainian being prevalent in many areas. Ukrainian traditions are kept alive by active organizations such as the Ukrainian Cultural Institute and the North Dakota Ukrainian Dance Association & The Ukrainian Dancers, both located in the Dickinson, Belfield, Fairfield area. When it comes to Ukrainian food, Four Corners Cafe & Catering in Fairfield excels! Check out their Facebook page. At Easter, they produce exquisite traditional Paska, which sells out quickly. The Ukrainian American Community Center is also a very active organization in the upper midwest (Minneapolis) which provides some of the information and photos we present. A wide variety of Paska, Ukrainian Easter Bread, baked by Four Corners Cafe & Catering, Fairfield, North Dakota. Paska! Easter Breads and Cakes of Four Corners Cafe & Catering, Fairfield, North Dakota. Ukrainian Recipes presents much information about the process of baking Paska and includes this recipe along with several others. Check out their website as well as their Facebook page. Dissolve yeast in a glass of warm milk combined with 3 tbsp of sugar. Stir the mixture and set it aside. Next add the remaining milk, melted dairy butter, sugar, eggs, and salt. Mix everything until you get a homogenous mass. Then add 1300 g (46 oz) of flour. Knead the dough. Transfer the dough in a bowl. Cover it with a napkin or a cling wrap and let the dough rise in a warm place. It should increase twice. Place 200 g (7 oz) of flour above a clean table. Put the dough above and roll it. Then add raisins and knead the dough again. Divide the dough into pieces, shape them into round loaves and place in special molds. Only half of each mold should be filled. Decorate the loaves with the same dough. Then place the molds in a warm until almost double. Grease the Easter cakes with a yolk well and place them in an oven. Bake dessert at 190°C (374°F). Check whether the Easter cakes are done by the help of a toothpick. Top the baked paska with powdered sugar. The Kitchen Magpie presents another recipe, handed down for generations. Traditional Ukrainian Babka, or Easter Bread! I take you step by step through making this traditional bread and even made a video to help you out! Place the butter, milk and 3/4 cup of white sugar in a pot and bring it to a near boil, you want to slightly scald the milk. You can also heat it in the microwave as well to the point of scalded (near boil). Add in the cup of cold water and let the mixture cool. Take the 1/2 cup of warm water and 1 tsp of white sugar, mix in your yeast thoroughly and let it start bubbling away. Add the egg mixture to the warm milk mixture. You need to let the saffon dissolve in the warm mixture before you move on, if you use saffron! Then add the yeast mixture to the bowl. I used the mixer for this now because it is one heck of a job. Mix the salt into your flour then add in the first four cups of flour, then your raisins. Then slowly add another 4-5 cups until the dough is slightly sticky. The dough should stick to your hand very slightly, but be a nice elastic dough. My dough always climbs the hook eventually so I used the mixer to get it combined and kneaded as much as possible then removed it and kneaded it on the counter for a while. Once that’s done it needs to rise. Put it into a bowl(s) in a nice warm place and cover it with a damp tea towel. Once it’s doubled in size, it’s time to punch it down and put it in the tins to rise again. You want to fill the tins only half way with punched down dough, this dough rises like you wouldn’t believe! Grease the ever lovin’ heck out of those coffee tins. (I use the medium size, the 13-16 oz coffee tins, NOT the large ones!) This would make a perfect 7 tins. You can also make it in a loaf pan. Time to let it rise again, Let the dough rise until it is almost at the top of the can. They will rise in the oven as well when they start baking, which is why you want them only to rise barely to the top of the tin. Remove all the oven racks except the bottom one. Kick the tires and light the fires to 325 degrees. Bake for 30-40 minutes on the very bottom rack, the tops get very golden brown but don’t fear, the inner part has to cook and the tops get brown and stay brown. Once they are nearly done, brush with the beaten egg and cook until the bread is finished. The bread will sound hollow on top when tapped & be a lovely brown. Cool very slightly in the tins then remove to make sure the bread doesn’t sweat and the bottoms don’t get soggy. If they stick slightly in the tins, twist and shake gently at the same time, they will pop right out. If they stick in the loaf pans, run a knife along the edge to free the bread then remove safely. Cool on racks for a couple of hours … if you can wait! Glaze the tops with my Buttery Icing Glaze if desired! A traditional Eastern European Easter bread, Paska is a sweet, brioche-like dough that’s studded with golden raisins. In a large bowl, stir the yeast into the warm milk to dissolve and let sit for 5 minutes. Add 3 cups flour and mix with a wooden spoon. Cover the bowl with plastic wrap and place in a warm, draft-free area until the dough has doubled in size. If you choose to use the golden raisins, soak the raisins for 30 minutes in warm water, then drain and pat dry with paper towels before using. Transfer the dough to the bowl of an electric mixer and add the sugar, melted butter, egg yolks, salt, vanilla, golden raisins and 4 cups of flour. Mix on low to medium-low speed until the dough comes together, adding more flour a tablespoon at a time, if needed. Turn the dough out onto a lightly floured surface and knead until it forms a smooth dough, about 5 minutes, again adding more flour a tablespoons at a time, if needed. Divide the dough into three equal sections and shape into loaves, then transfer to three 8×4-inch greased loaf pans. Cover lightly with plastic wrap and let rise until doubled in size. Preheat oven to 400 degrees F. Brush the tops of the loaves with the egg wash.
Bake the loaves for 10 minutes, then reduce the temperature to 350 degrees F and bake for an additional 40 minutes, or until the loaves are golden brown. If the loaves are beginning to get too dark, place a tented or loose piece of foil over top. Allow the bread to cool for about 20 minutes in the pans, then turn the loaves onto a wire rack to cool completely. Wrap leftover bread in plastic wrap and keep at room temperature for up to 3 days. This bread freezes well. Wrap baked loaves in plastic wrap and then in foil and store in the freezer. Alternatively, wrap loaves in plastic wrap then place in airtight freezer bags. If you are using dark, non-stick loaf pans, be sure to reduce the oven temperature by 25 degrees F.
Ukrainian Easter Eggs have been a tradition in some western North Dakota towns for years! Find out about them here: The Most Beautiful Easter Eggs in the World! Subscribe to our blog and newsletter. Don’t miss out on the fun!